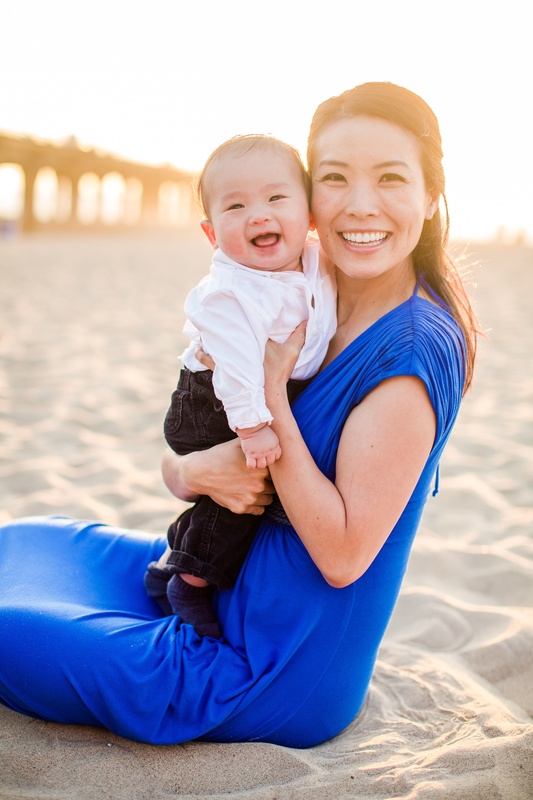 Dr. Ma is a mom of a six-month-old son, an anesthesiologist at UCLA Olive View Medical Center, and the founder of BareEase pre-waxing numbing kit, in Los Angeles, CA. What’s your favorite parenting tip? Parenting is harder than you think it will be. I think it’s harder than being on Survivor. What surprised you most about parenting? That I enjoy it more than I thought I would. I thought it would be all chores and work, changing diapers all day long. There’s plenty of that, but I have enjoyed parenting much more than I expected. How do you work exercise into your family’s life? I don’t go to the gym. Instead, I try to make everyday tasks more active. For example, when I go for walks with my husband and our baby, my husband pushes the stroller, and I carry five-pound weights. This way I can also work out my arms while we walk. Also, I almost never take the elevator. Even when I go into work in the morning, and I’m carrying my breast pump, briefcase, and lunch, I walk up the stairs. How do you recharge your batteries? My husband and mother-in-law watch my son for me for a few hours every week. This way I can go get a pedicure or massage or just enjoy some time to myself so I don’t feel exhausted all of the time. How did you motivate yourself to lose weight?